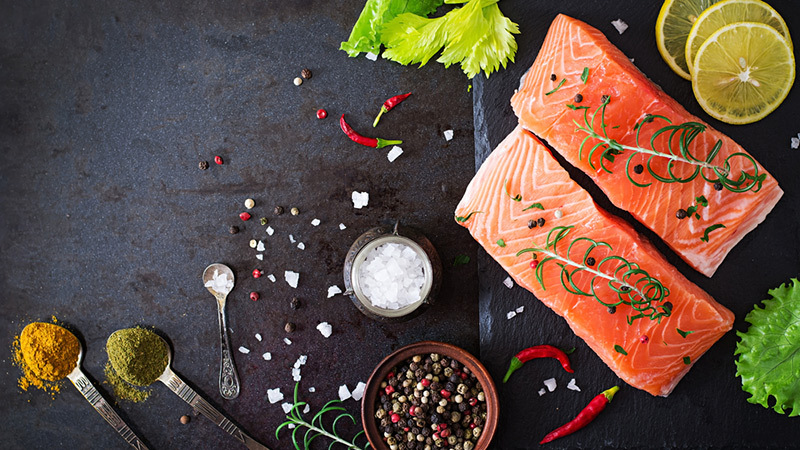 The world’s most popular fish (besides tuna), salmon can be one of the juiciest, succulent and all-around delicious pieces of seafood to sink your teeth into. However, when prepared incorrectly, salmon can be dry, smelly and unpalatable. And unfortunately, it’s easy to get it wrong. So how do you make sure you’re getting the flaky, tender good stuff instead of a tasteless, dry dinner? We’ve gathered five important salmon cooking tips to help you cook the perfect salmon, every time. Making a perfect salmon meal starts long before you turn on the stove. Indeed, it starts at the store, when you pick out your fish. Of all our salmon-cooking tips, this may be the most important. So when you’re shopping for fish, what do you want to look for? Look for a fish with vibrant, fresh-looking colours. Salmon can run from deep-red to bright-pink to a sort of coral colour, and these are all fine. What you want to avoid is a fish that looks pale. Also avoid salmon that has brown spots or shows signs of bruising. 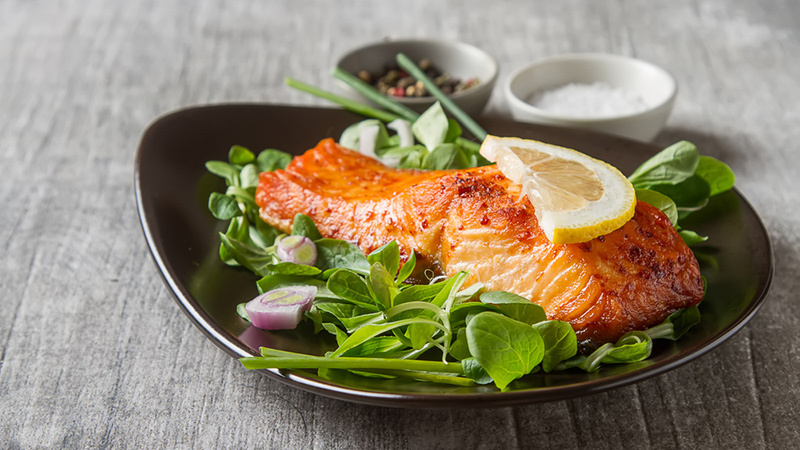 With really good, fresh salmon, you shouldn’t really smell much at all, at most a slight saltiness. If it smells “fishy,” the salmon isn’t fresh enough. Move on. If the salmon appears dried or desiccated, this is a good sign that this isn’t the fish for you. A good salmon filet should be moist. If the skin has begun to curl, or the flakes of salmon flesh appear to be separating from each other at the edge of the filet, these are not good signs. Look for another fish. Knowing how to cook salmon steaks is largely a matter of knowing how to hit the right temperature without going too high or too low. As salmon heats, its texture and consistency change predictably. At 110 F, the salmon is still basically raw. This is great for sashimi, but not salmon that’s not sushi-grade. Between 110 F and 125 F, you can think of your salmon as medium rare. The flesh has probably mostly turned opaque, but it is still moist and juicy. Between 125 F and 140 F, your salmon is somewhere between medium and well-done. As it gets hotter, it will continue to become flakier, and it may start to develop a slight chalky texture. During this phase, albumen (the unappealing white goo that you sometimes see oozing out of the side of salmon) may begin to appear and coagulate on the outside of the salmon. Above 140 F, the salmon will continue to dry out, get hard, and become chalkier. Because everyone has a different idea of the ideal salmon dish, knowing how to cook perfect salmon will depend somewhat on your own personal tastes. However, most people are going to want to have their salmon somewhere in the medium rare to well-done range. This means you want to both avoid rawness and overdoneness. Get a meat thermometer to check and make sure that the center of your salmon is just the way you want it. Always cook your fish skin side down. Doing this will help you to get a delicious crispiness in the skin without overcooking the delicate flesh on the other side. Start out cooking the salmon with the skin down, then give it just 15 seconds or so on the other side to reach perfection. 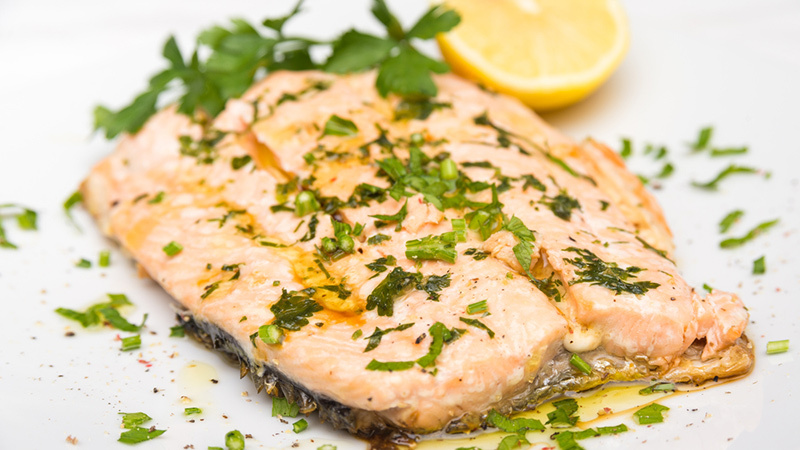 There are a number of salmon cooking tips that can help when you’re pan-frying or grilling. If you have a hard time with the fish sticking, try heating the oil (or grill) before you put the salmon in. This will help the salmon to keep from adhering to the pan and tearing when you try to flip it. If your salmon curls up on itself while you’re cooking, hold it down with a metal fish spatula for the first minute or so. It should keep its shape by itself after this. Don’t try to cook your salmon too quickly, or you could end up with part of it overdone and part of it still raw. 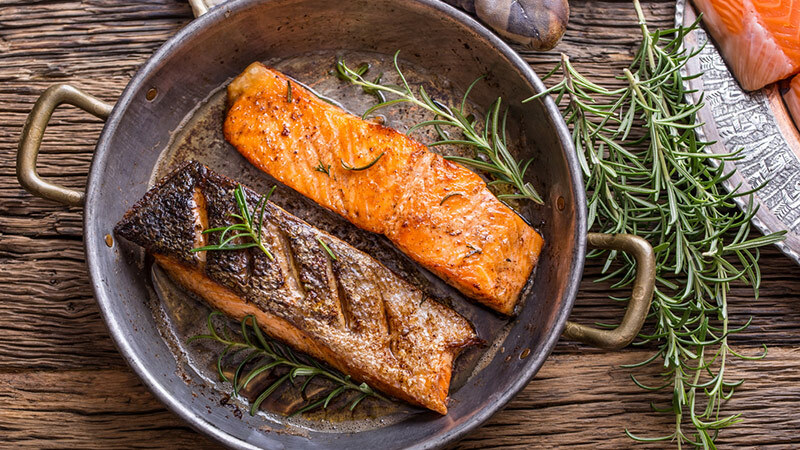 If you’re cooking on the stove, once you’ve seared the salmon skin, turn the heat down for the rest of cooking. Then, when you’re going to flip the fish, keep that patience. Trying to lift it off before it’s ready can make the skin tear. Give it a bit longer, and it should come up easily. 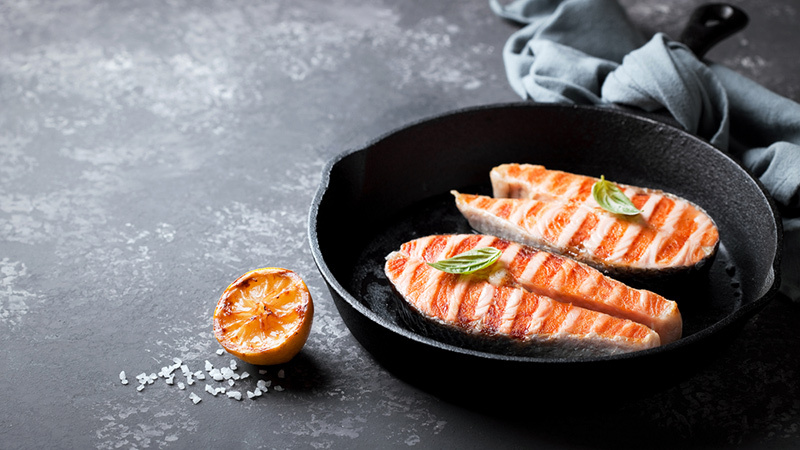 A number of our salmon cooking tips have focused on pan-frying or grilling, but if your perfect salmon is poached, we have one last tip for you. Don’t just poach in water. Try adding in lemon, garlic, or something else that can help give your fish some zest. Or, if you’re feeling decadent, poach it in a dry white wine.